We are collecting Box Tops. Please check for expiration dates prior to submitting to the school store. Please clip and paste on the provided form and send them to school. the school store. 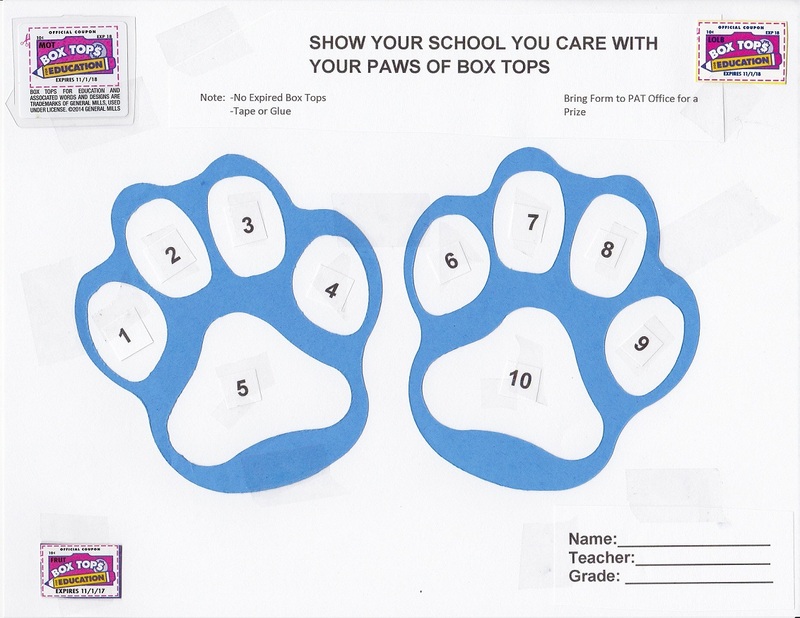 Box Tops for Education help fund activities school-wide!